International Women’s Day is a global celebration of the economic, political, social and cultural achievements of women. It’s a day to stand together and celebrate the movers and shakers while empowering the future leaders. On Thursday, March 7th, the University of Windsor EPICentre will be hosting an International Women’s Day panel discussion at Waters Edge Event Centre. 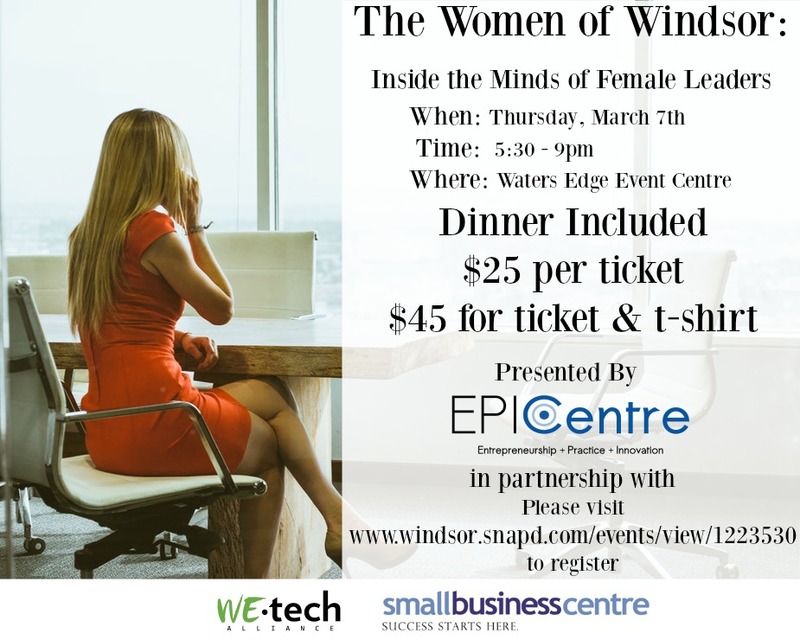 The evening will feature a seated dinner followed by a panel discussion with some of Windsor’s fearless female leaders and finally a question and answer period from our audience. We hope you can join us for this empowering, inspiring evening. We are offering two ticket options, the first provides entry to the event and your meal, the second provides entry, a meal and an inspirational t-shirt from Bad Babes Co. $5 from the T-shirt ticket sales will be donated to a local women’s charity. All attendees who have purchased a t-shirt will be asked to email [email protected] your t-shirt size.